Compensation Package : Selected candidates wil be placed in the pay scale of Rs.40000 - 3% - 140000/- during one year training. Upon successful completion of training i.e. subject to fulfilling the required performance related/other criterion of the Company in force & amended from time to time, they will be absorbed as Jr. Manager at El grade in the pay scale of Rs.60000-3%-180000/-. Service Agreement Bond : The selected candidates at the time of joining will be required to sign a contract of apprenticeship in accordance with the Apprenticeship Act and will also be required to execute a service agreement bond of 3,00,000/-or Rs.4,00,000/-(for training imparted abroad) on non-judicial stamp paper of Rs.1500/- to serve the Company for a minimum period of 4 (four) years after successful completion of one year training. Application Fee : The General& OBC Candidates are required to pay Rs.500/- (Five hundred) towards Application Fee and SC/ST/PWD/Departmental Candidates are required to pay Rs.100/- (Hundred) as Registration Fee only. 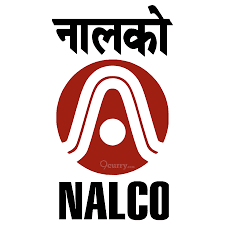 Selection Process : NALCO will be utilizing Graduate Aptitude Test in Engineering- 2018 scores(GATE-2018 scores) for recruitment of Graduate Engineer Trainees(GETs) in the above disciplines. Only GATE-2018 score is valid for this recruitment process. Based on the GATE-2018 score and organizational requirement, candidates will be short listed for the personal interview. Labels: Central Government Jobs , Jobs in NALCO.